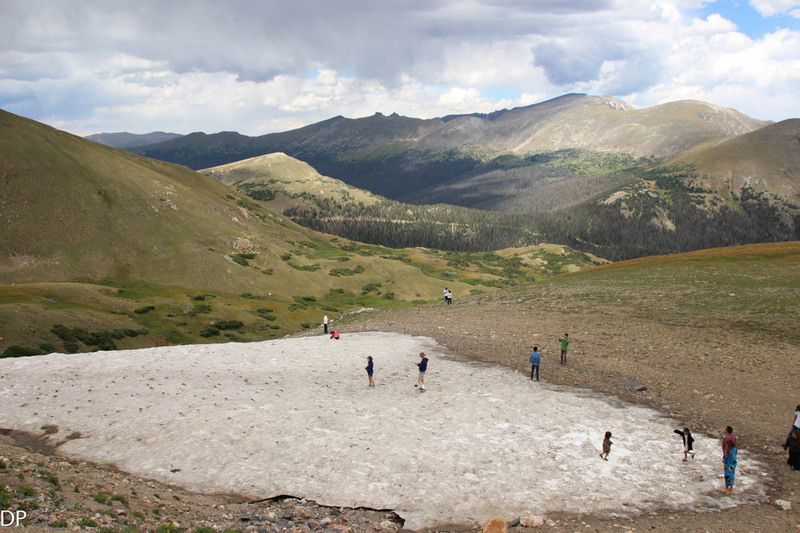 In the heart of the Rockies The Rocky Mountain National Park creates a feeling like you are on top of the world. 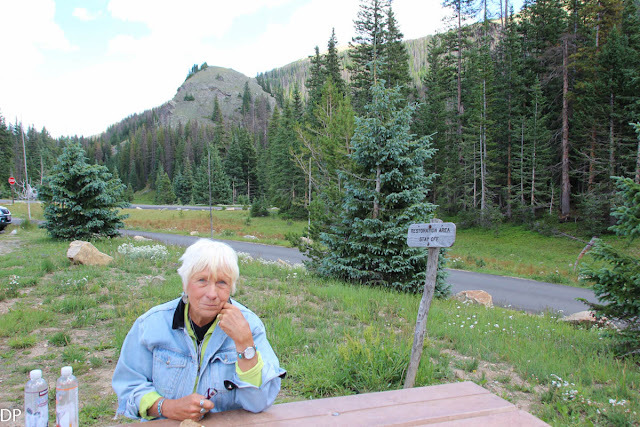 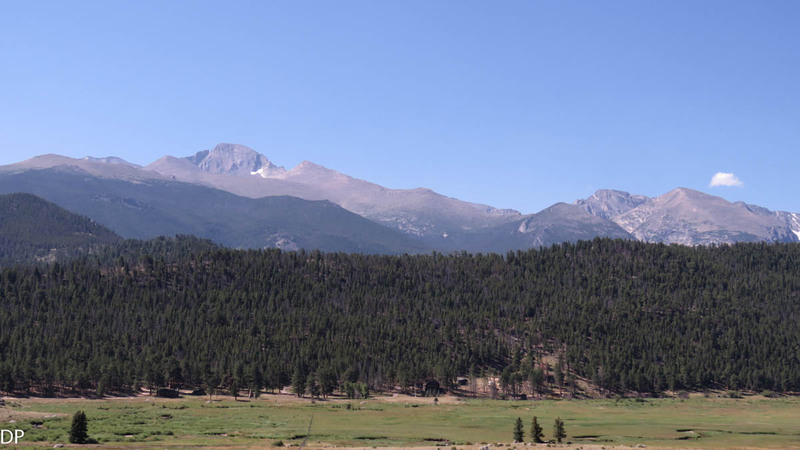 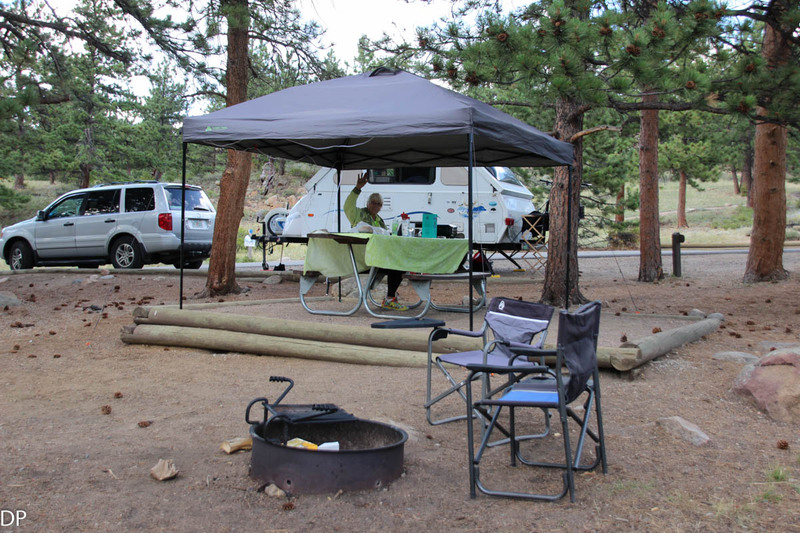 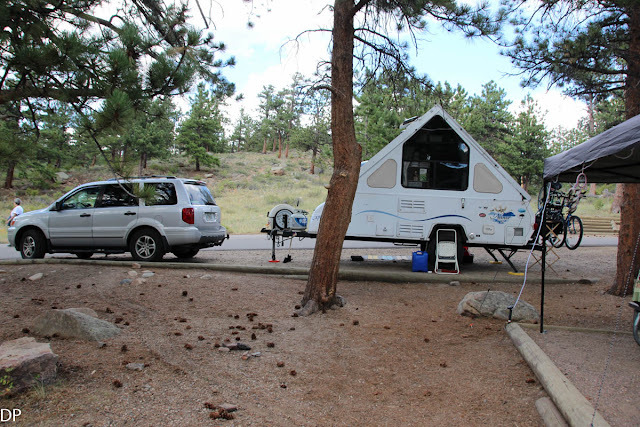 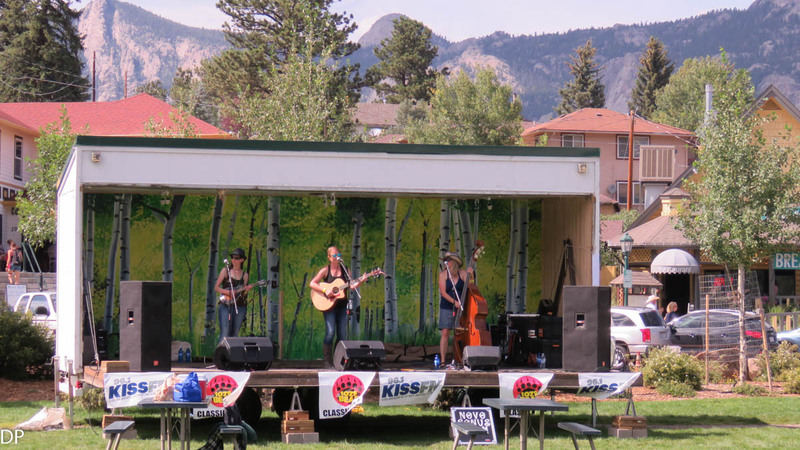 Barbara and I stayed in the park at the picturesque Moraine Park Campground with views of Long's Peak towering over the high mountain valley which was carved out by glaciers many years ago. Full set up at Moraine Park campground. 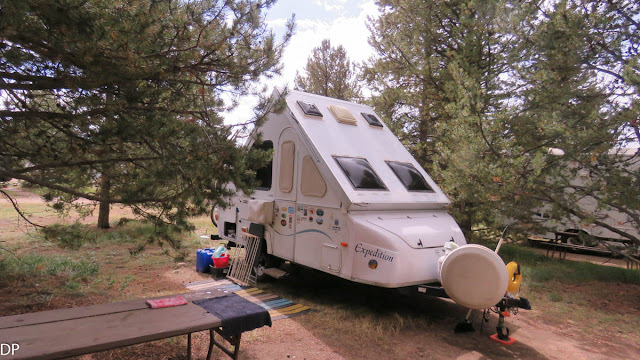 Our home base during our visit. 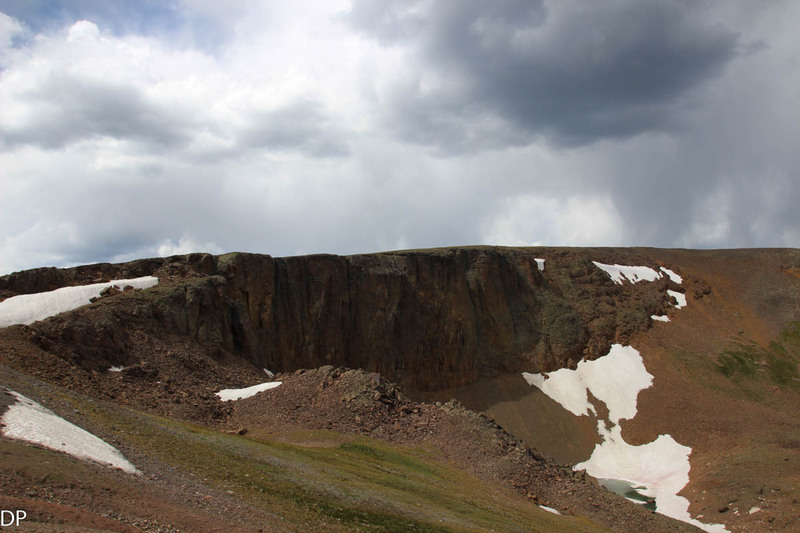 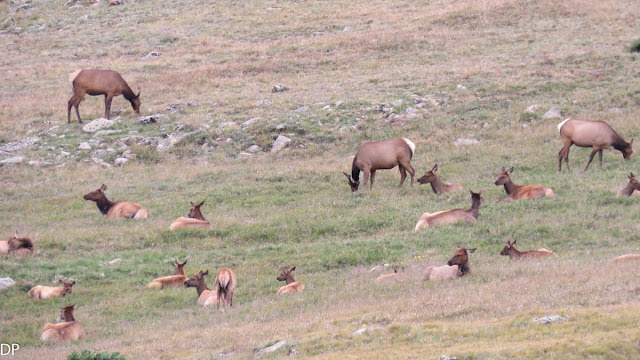 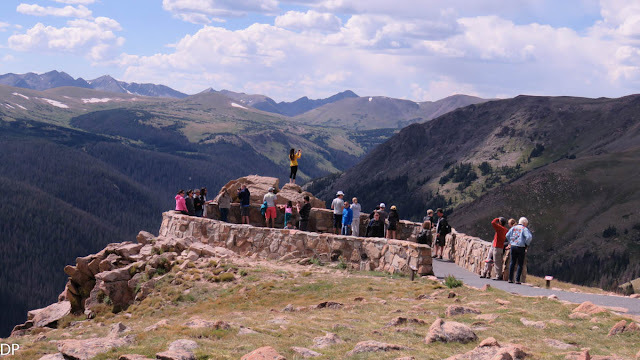 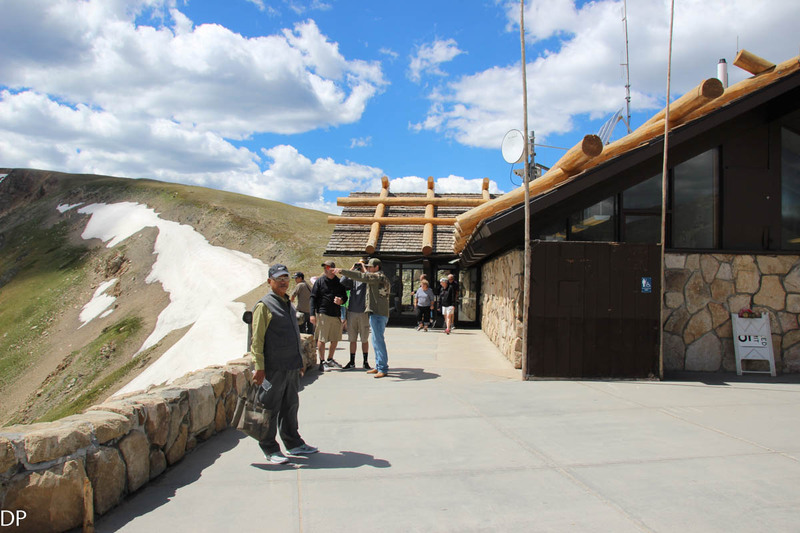 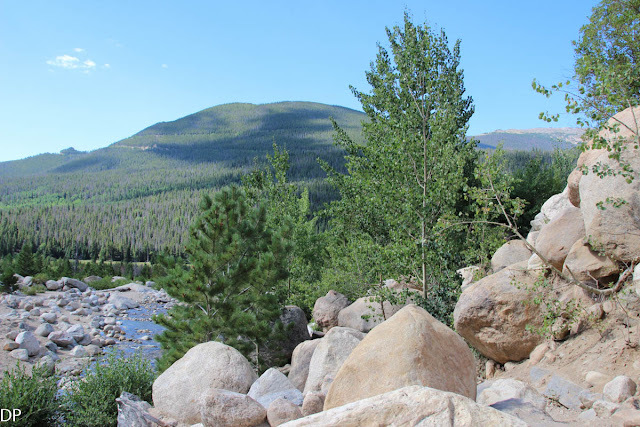 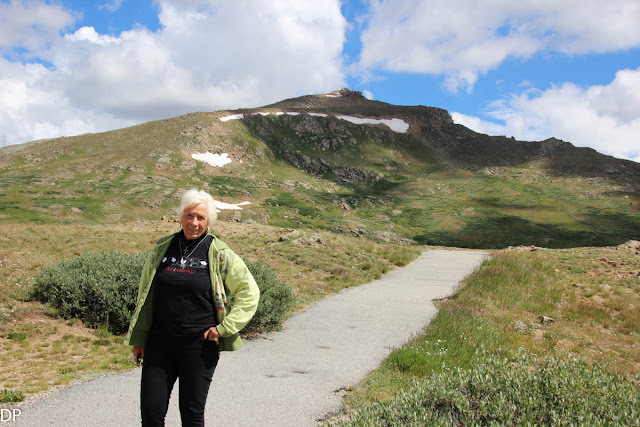 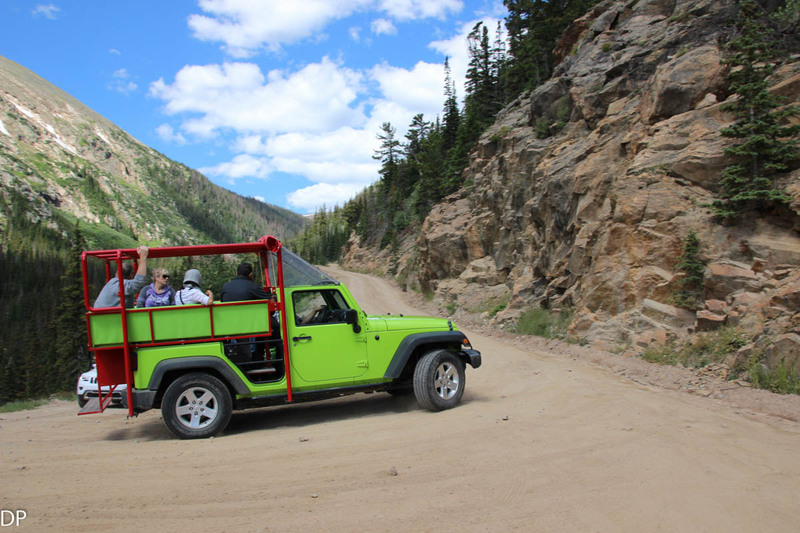 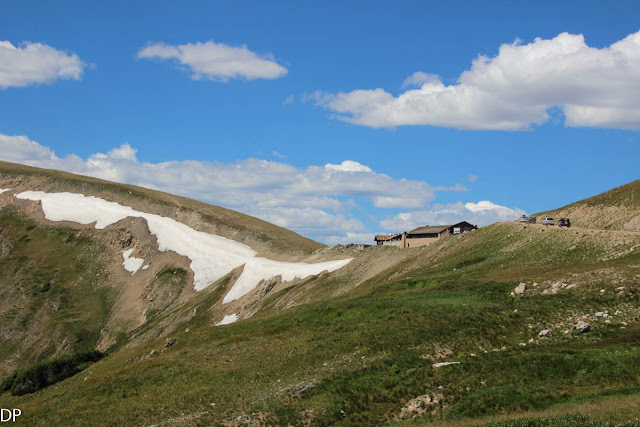 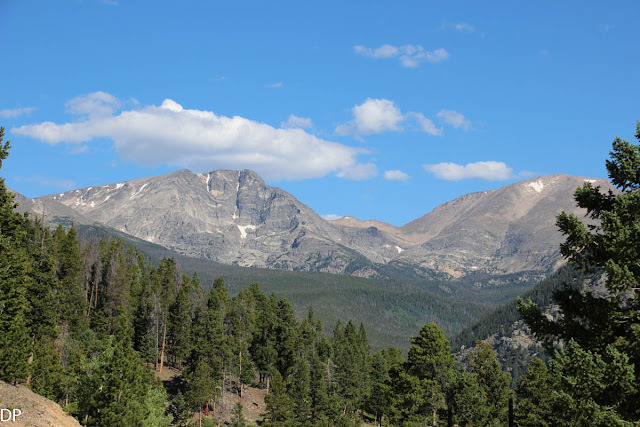 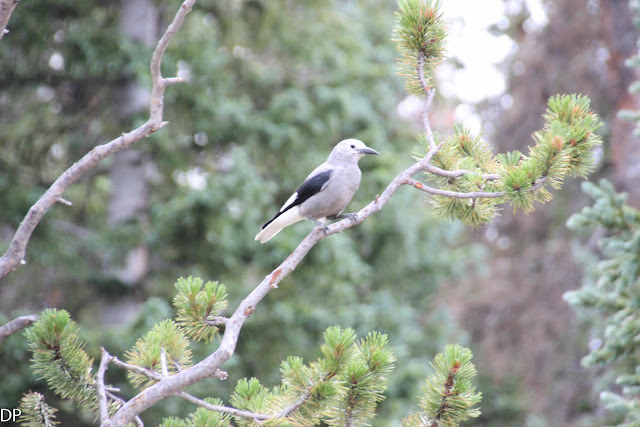 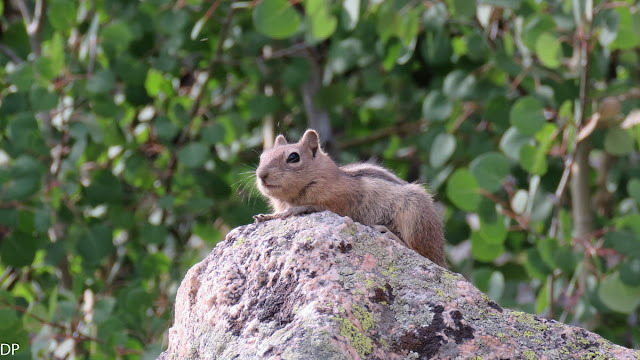 On our first full day in Rocky Mountain National Park we toured the high country around us by driving the The Fall River Road up to The Alpine Visitors Center high atop a towering mountain ridge of 11,796 feet along the Trail Ridge Road. 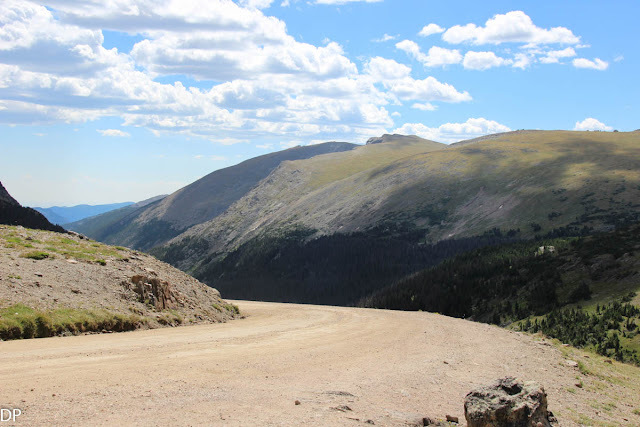 The Fall River Road is a narrow dirt road that twists and turns up into the mountains with steep drops making for a challenging but scenic drive to the top. 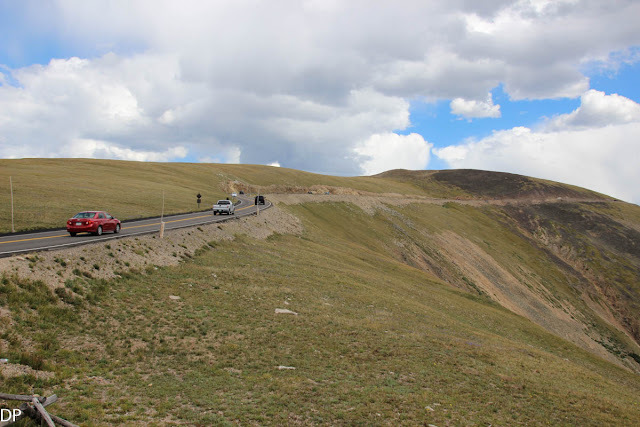 Since we have an all wheel drive Honda Pilot I felt confident that we could easily make our way up to the summit along with the many vehicles who decided to traverse this mountain road as well. 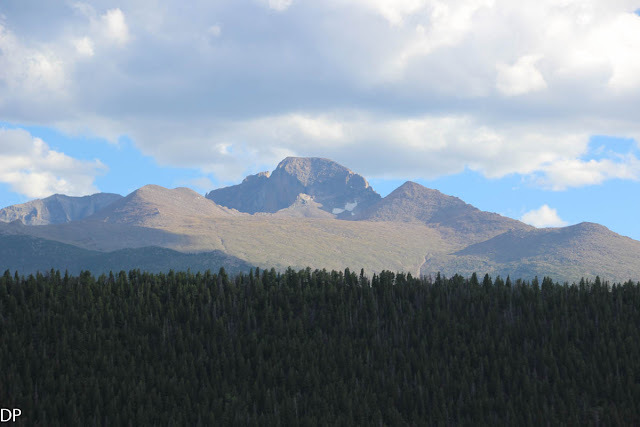 We marveled at the mountain scenery that changed as we turned every corner. 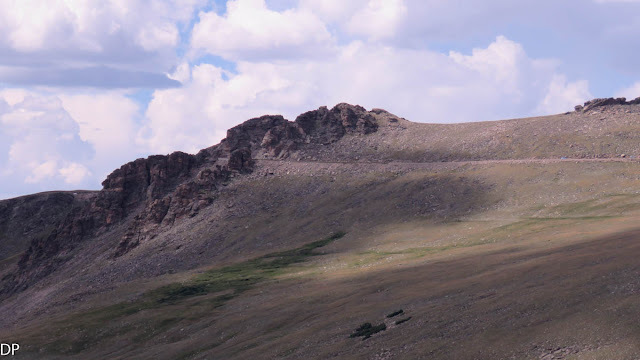 The morning blessed us with clear skies and gentle breezes as we ascended into the tundra like environment of the high mountain ridges. Jeep tour up The Fall River mountain road. 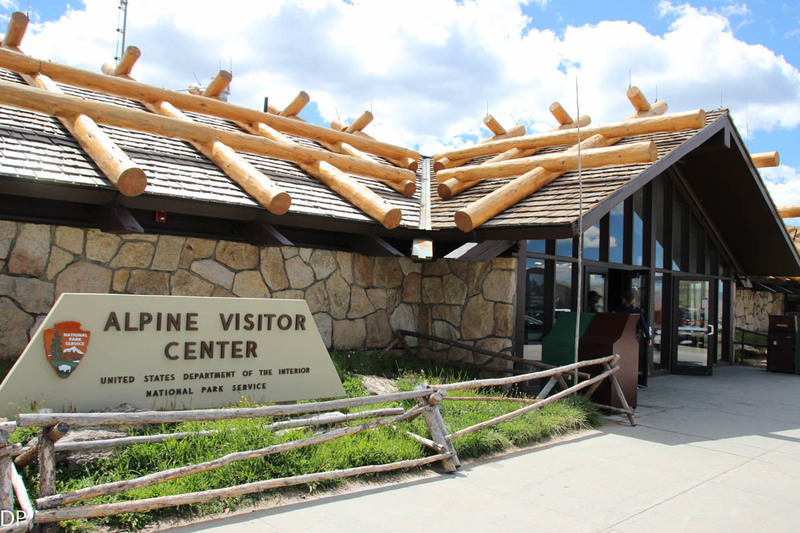 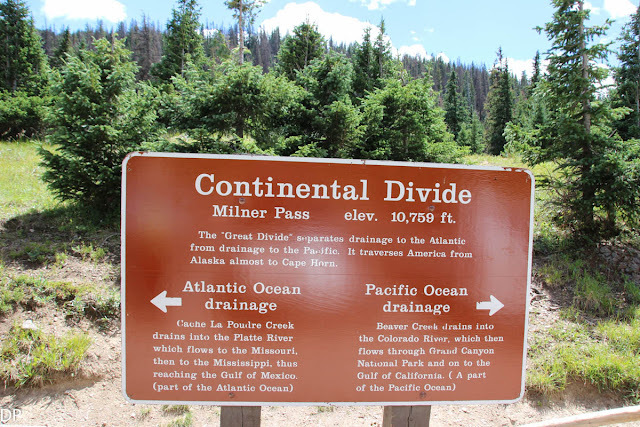 After our arrival at the Alpine Visitors Center we drove down to the Continental Divide on the west side of mountains. 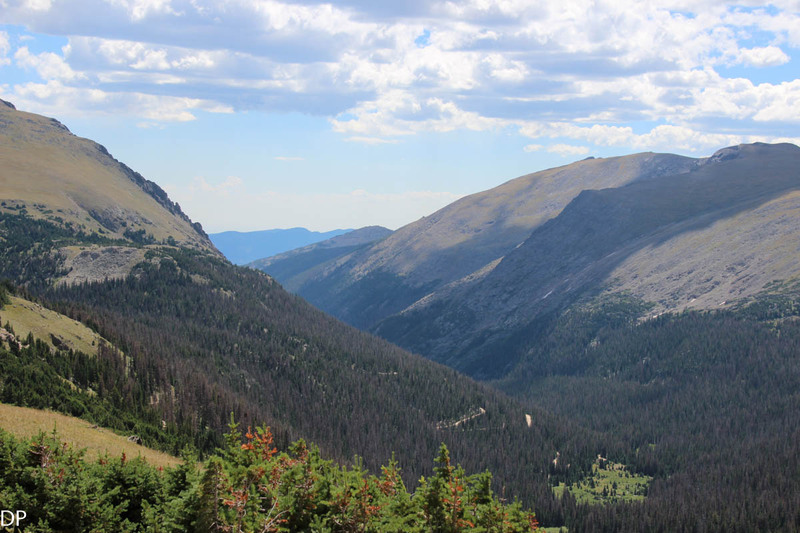 We were treated to some great views before we drove back over the mountains on the The Trail Ridge Road to our Moraine Park and our campsite. Fairview Curve turnout just before the Trail Ridge Road descends into The Colorado River Valley. 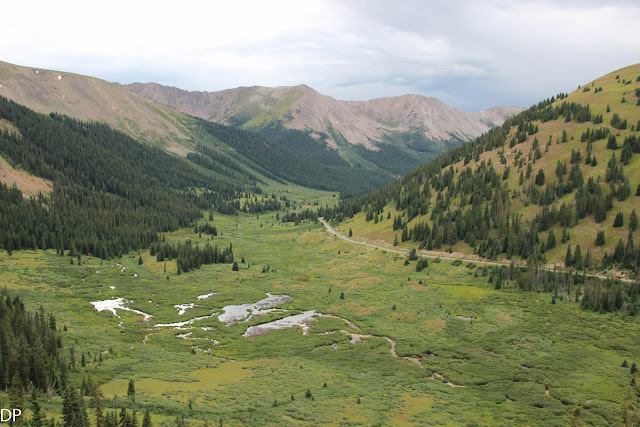 The Colorado River's headwaters are located here. 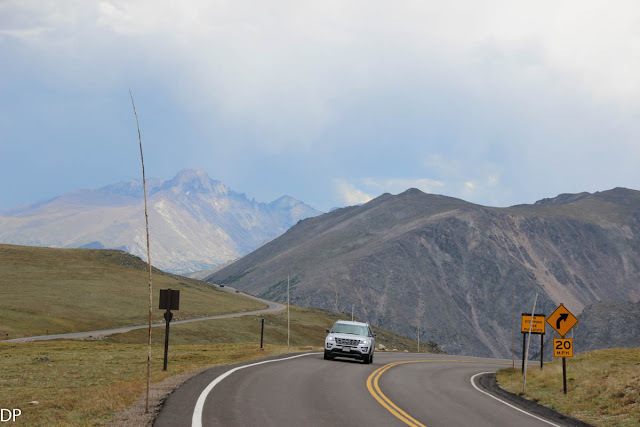 The drive along this paved high mountain road traverses some of the most beautiful high tundra country anywhere in the United States. 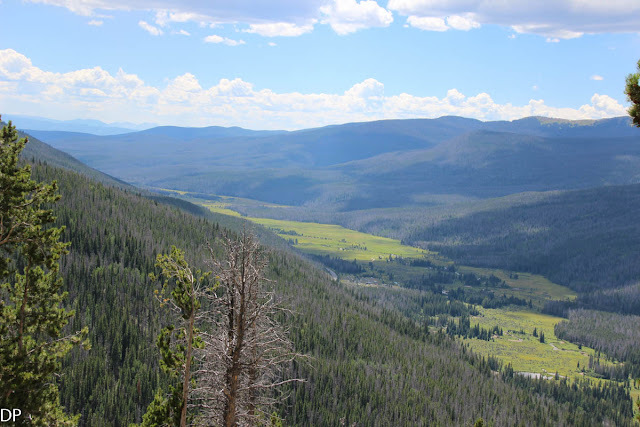 We drove for many miles above the tree line with scenic vistas all around us. 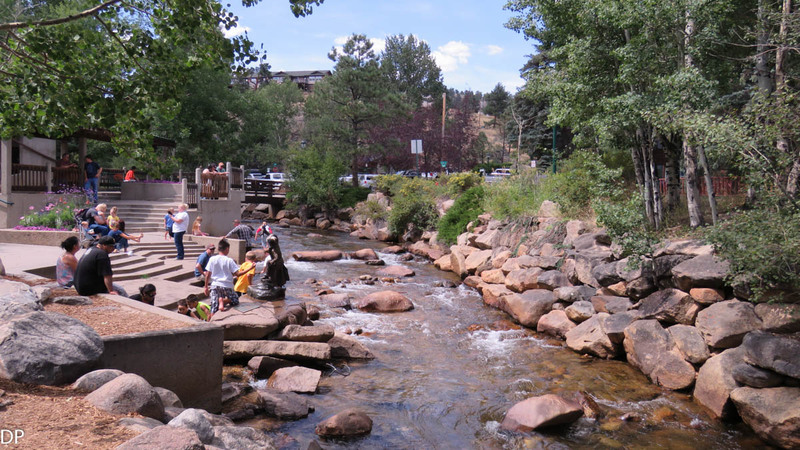 During our second day at The Rocky Mountain National Park we decided to tour Estes Park, CO which is located on the eastern portal to the park. 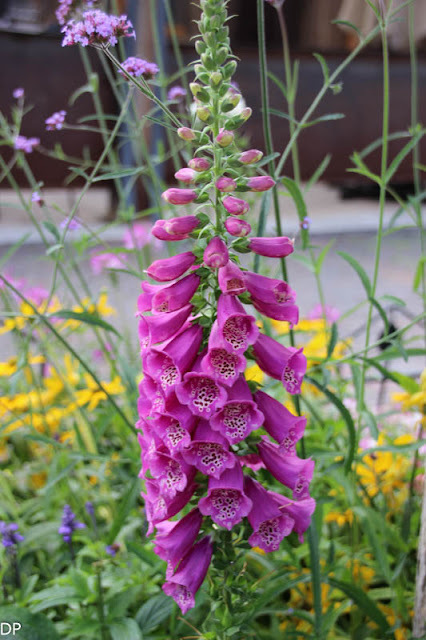 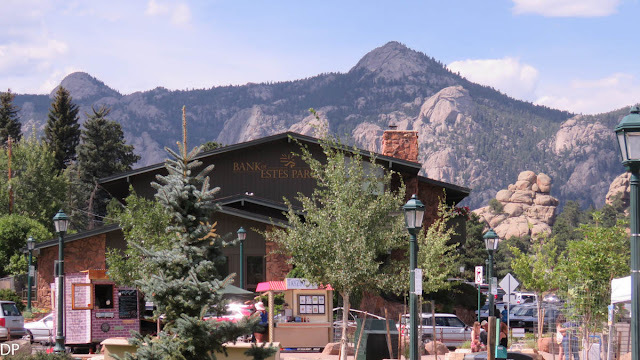 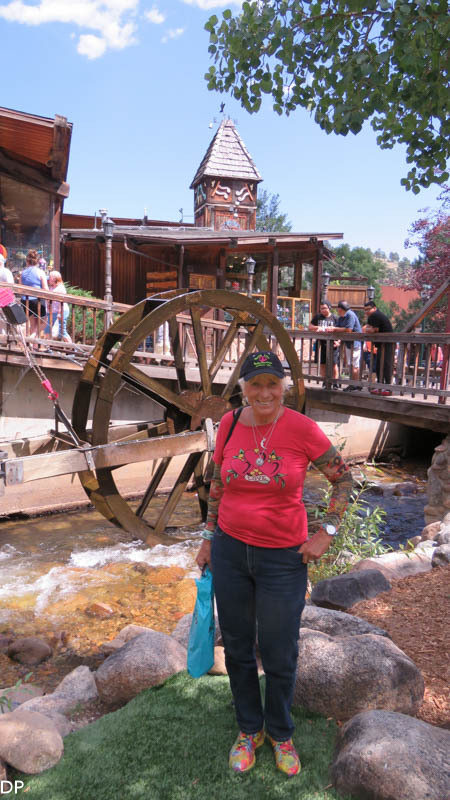 This high mountain valley town is a lovely place to visit with it's many shops and parks making it a destination for folks who visit this area. 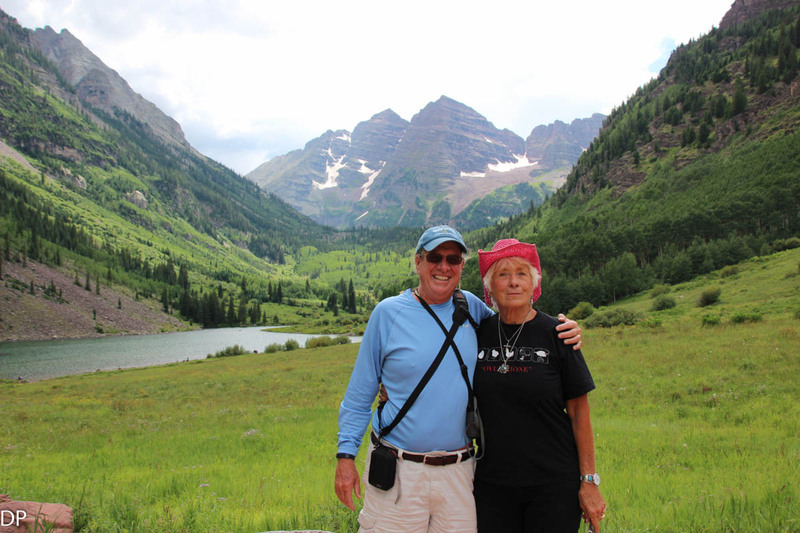 We enjoyed touring the shops and taking in the various vistas that make this place so special. 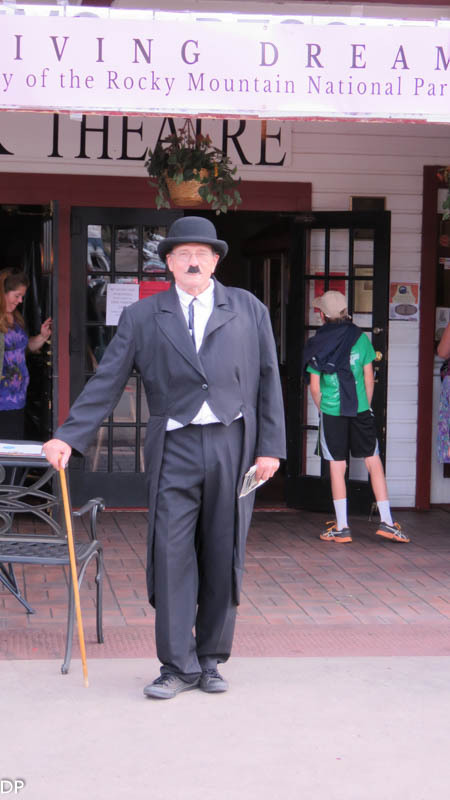 Character player outside The Park Theater. 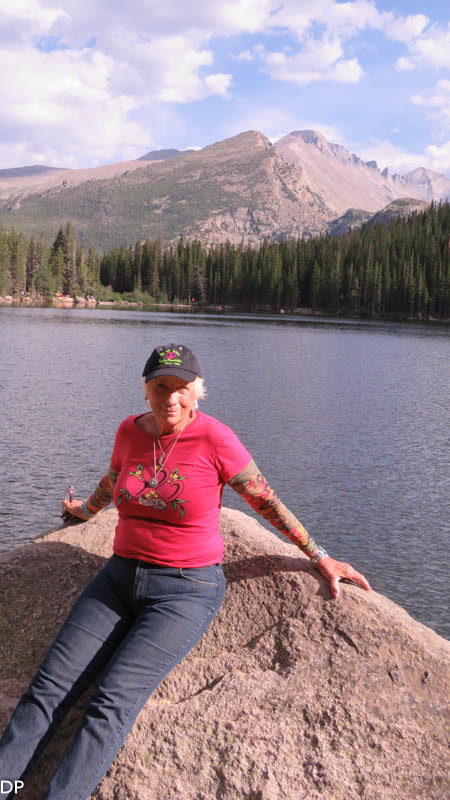 After our visit to Estes Park Barbara and I drove out to Bear Lake. 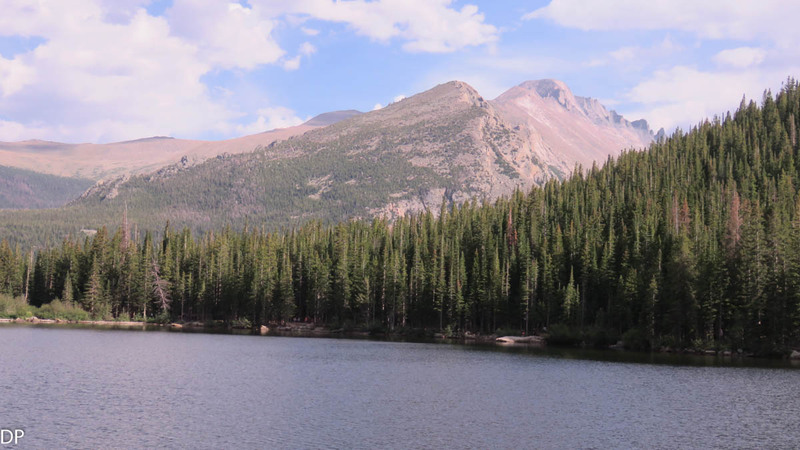 Bear Lake is located in the Rocky Mountain National Park a short distance from our campsite at Moraine Park. 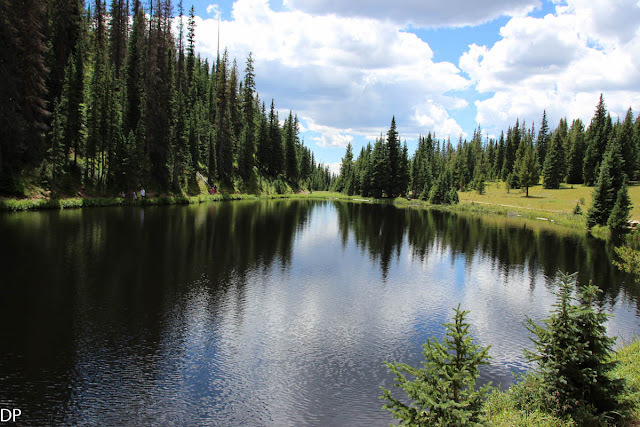 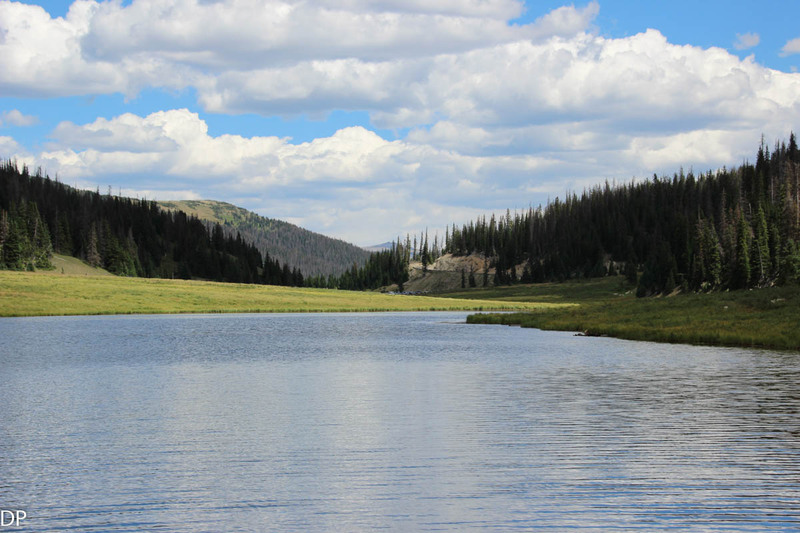 This scenic mountain lake is a popular spot for day hikes into the back country. 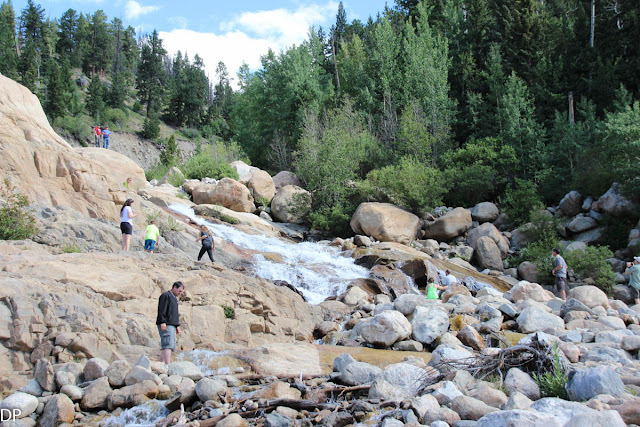 We hiked the half mile path around Bear Lake taking in the majestic mountain scenery that makes this place so popular. 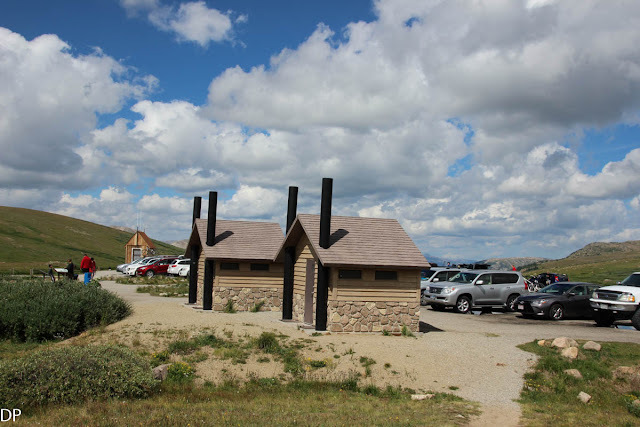 We were very pleased and satisfied with our stay at one of this countries most popular National Parks. 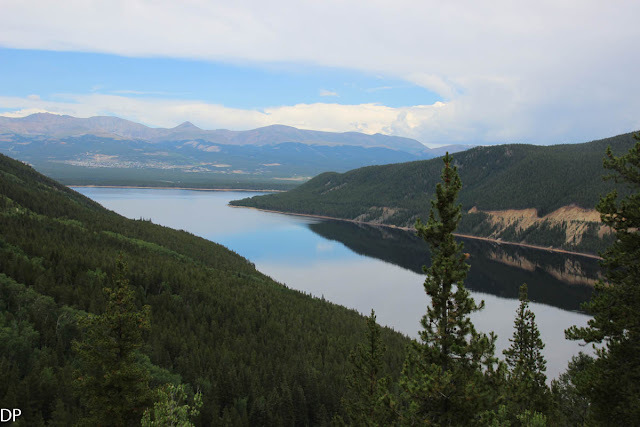 We made plans in the future to come back again to explore this beautiful place in the rugged Rocky Mountains. 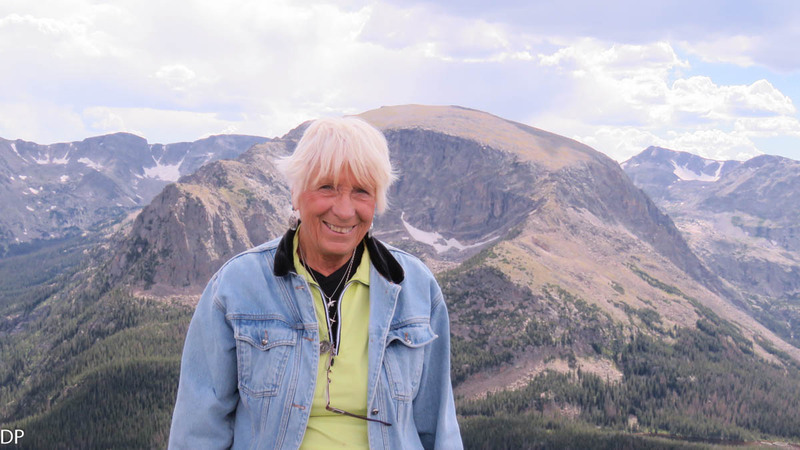 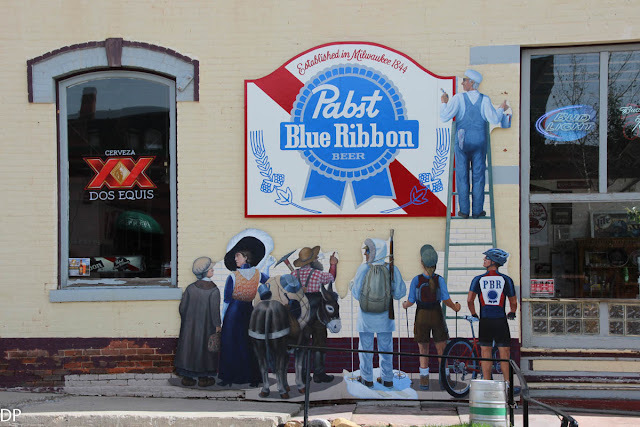 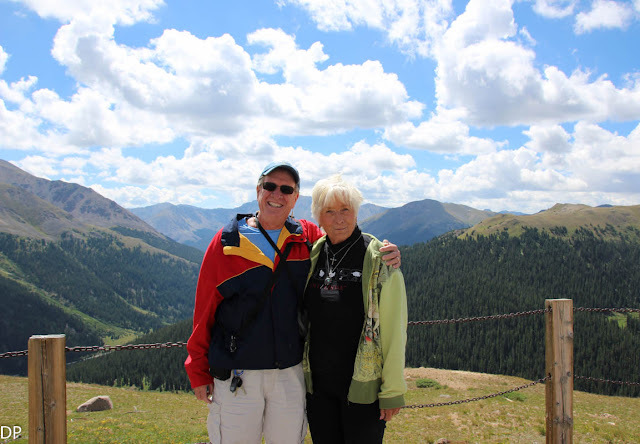 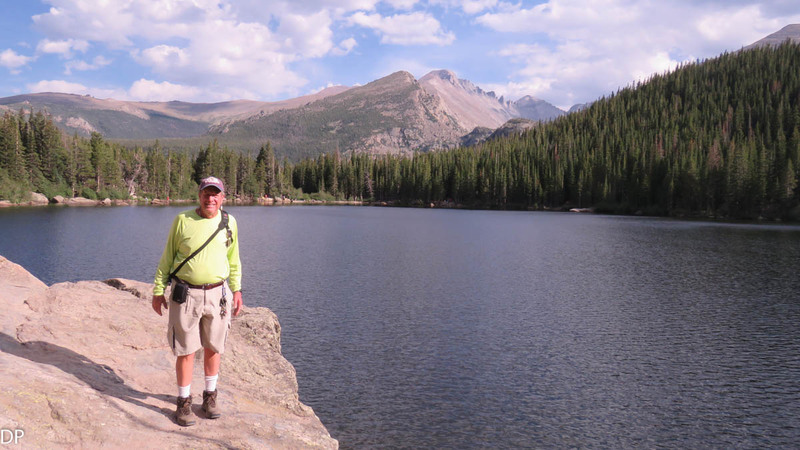 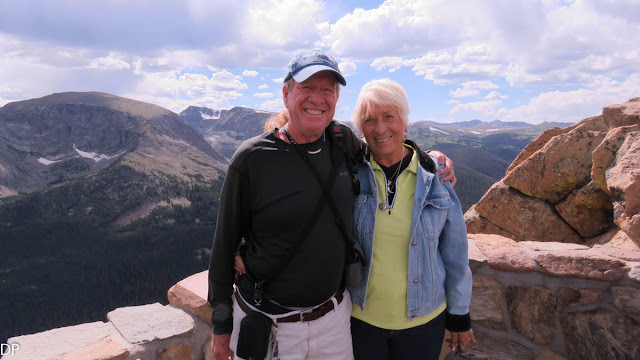 Barbara and I have spent two days in the Leadville, CO area enjoying the area. 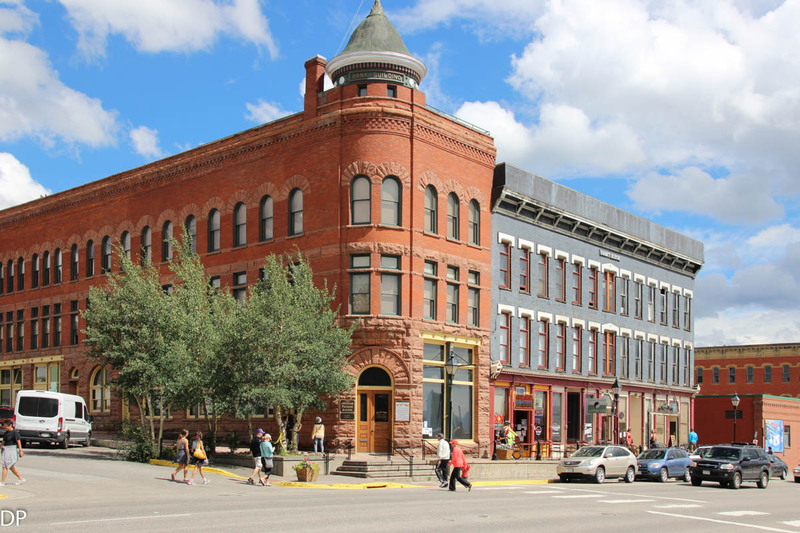 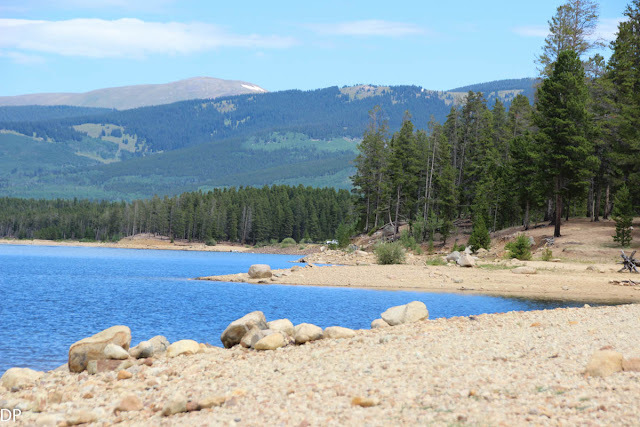 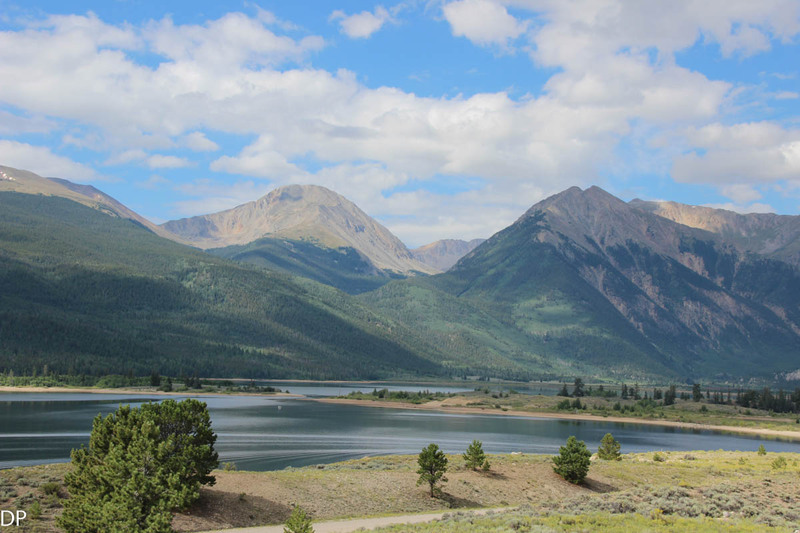 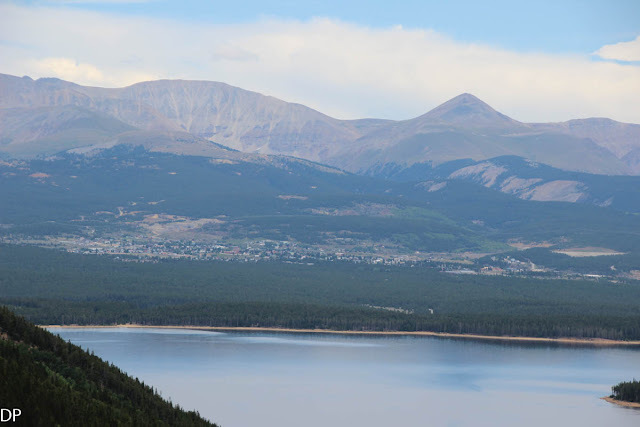 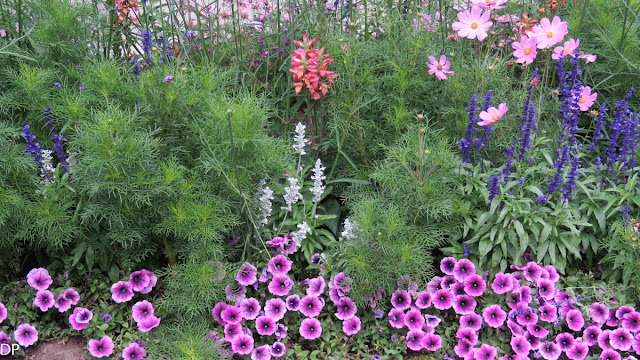 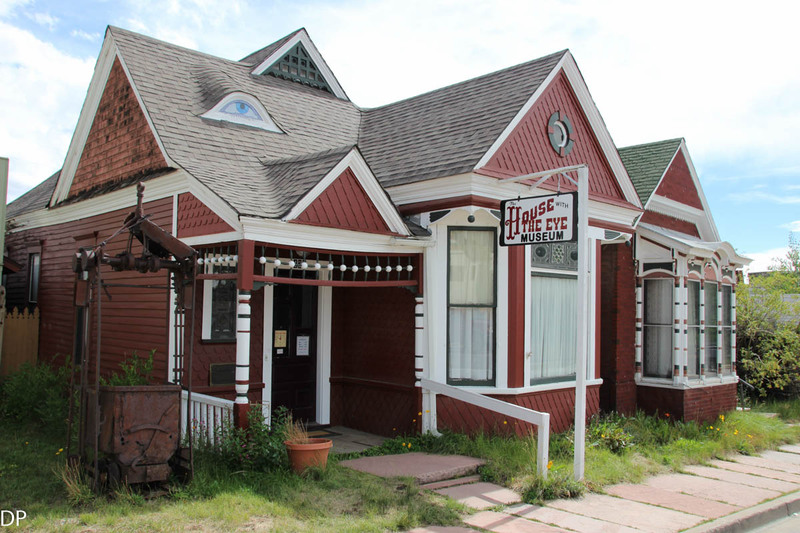 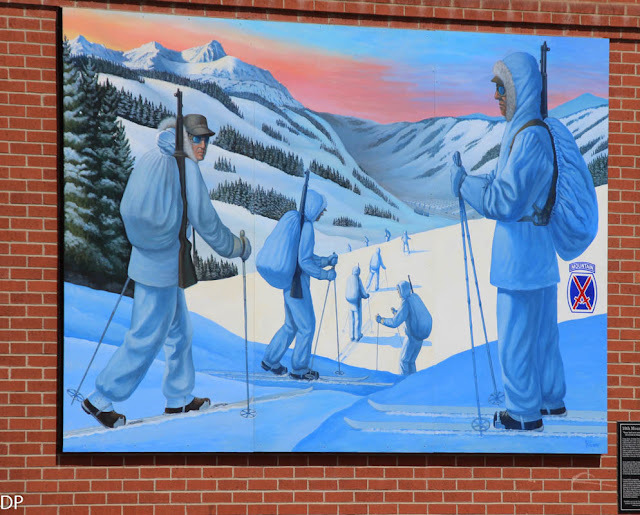 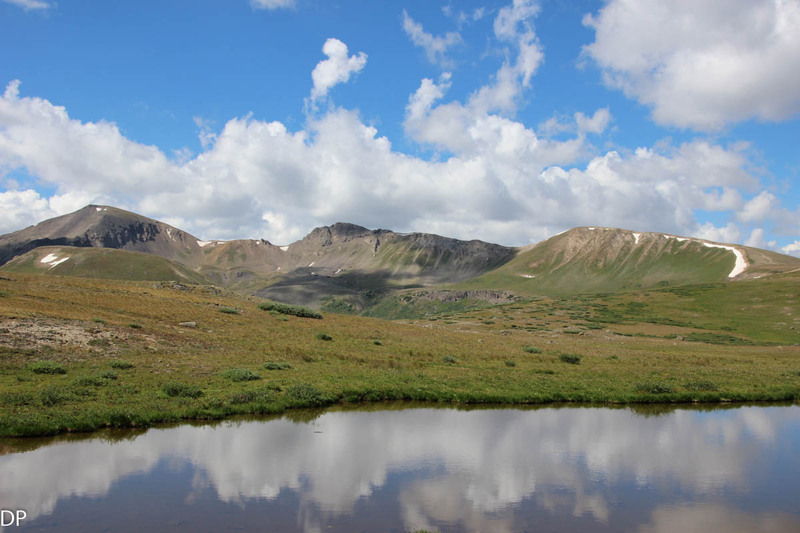 Leadville is the nation's highest in elevation at a stunning 10,000 feet. 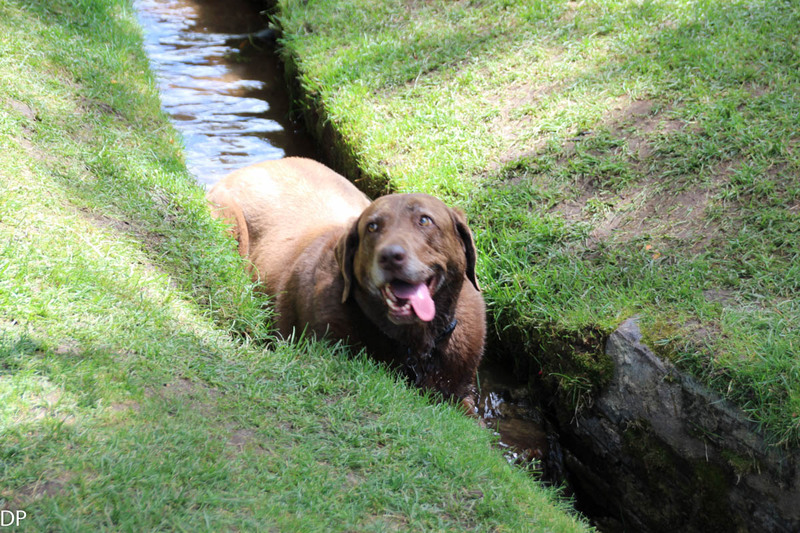 The days here have been topping out in the low to mid 60's with lows in the lower 40's. We have been staying at The Sugar Loafin' RV campground just outside Leadville, CO. The first night we camped out here we had a evening thunderstorm roll through with heavy rain and some hail. We had to abandon our campfire that night as we waited out the storm in our trailer. One our first day we visited Turquoise Lake a beautiful mountain lake nestled in a valley surrounded by mountains. We drove the loop around the lake marveling at the views from the many points of interest along the way. 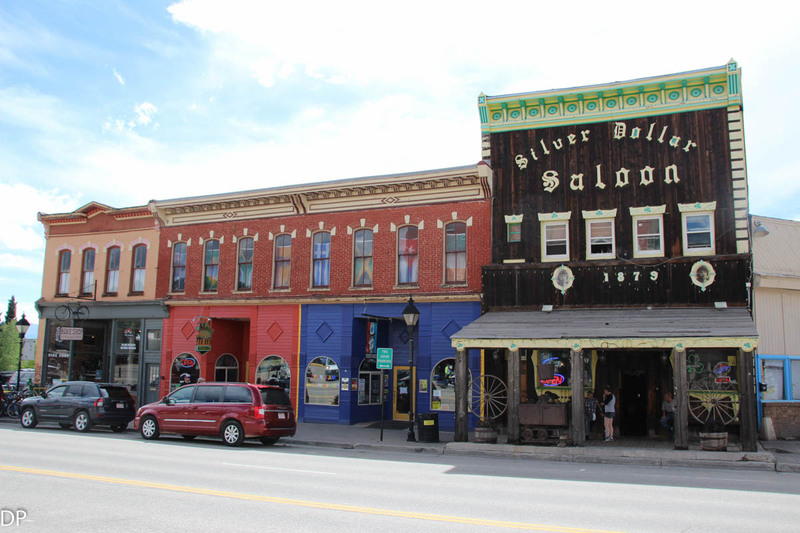 Later on in the afternoon we spent some time in Leadville, CO enjoying the shops and admiring the the old buildings that go back to a time when this town was a busy mining community. For the most part the mines have closed and the local economy is know based on tourism. 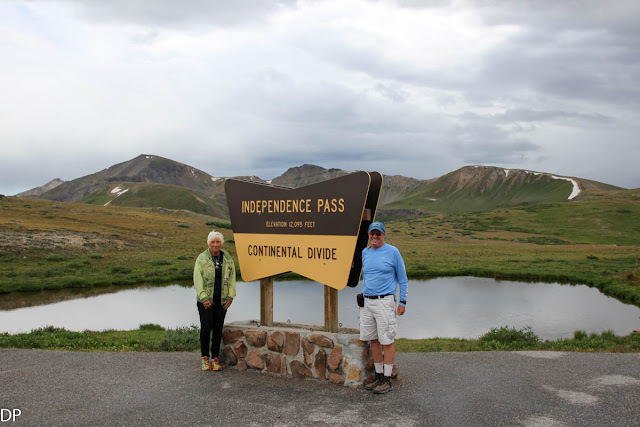 On our second day in the area we drove up to Independence Pass on our way to Aspen, CO to tour the area. 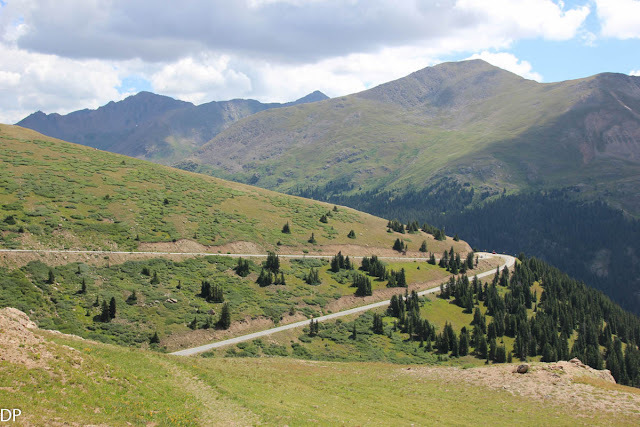 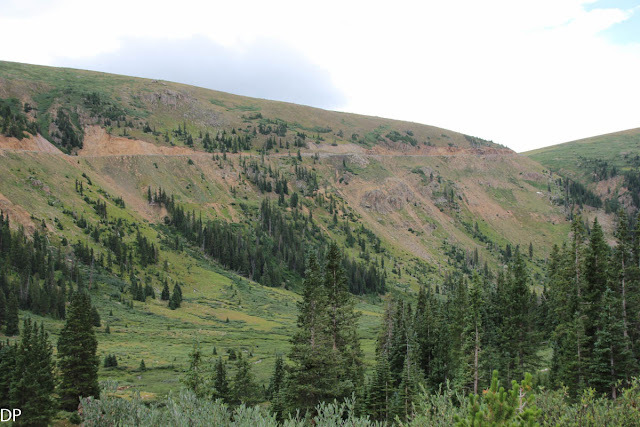 The paved mountain pass road is the highest road of it's kind in North America. 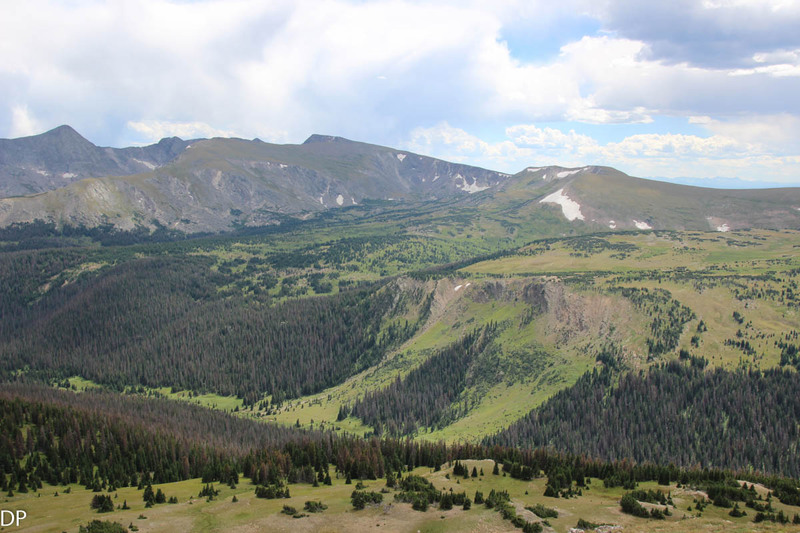 From the peak you can see the surrounding mountain peaks from a elevation of 12,000 feet. Up here is tundra with many mountain wildflowers and stunning views of the Rockies. At times the pass road comes down to a single lane making a thrilling ride even more adventurous. No vehicle either with a trailer or without a trailer can traverse the pass that is over 35 feet long. 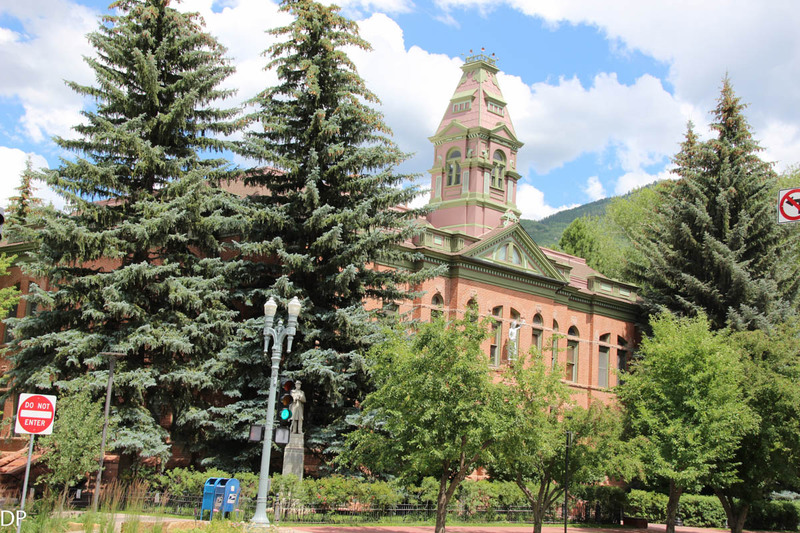 There is a 1,500 dollar fine for those who try and are ticketed. On the other side of the pass we visited Aspen, CO with all it's mountain charm and beauty. 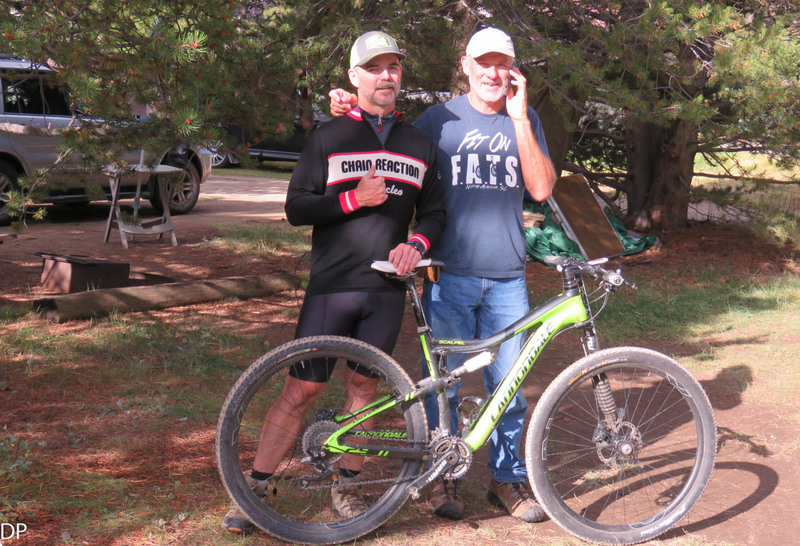 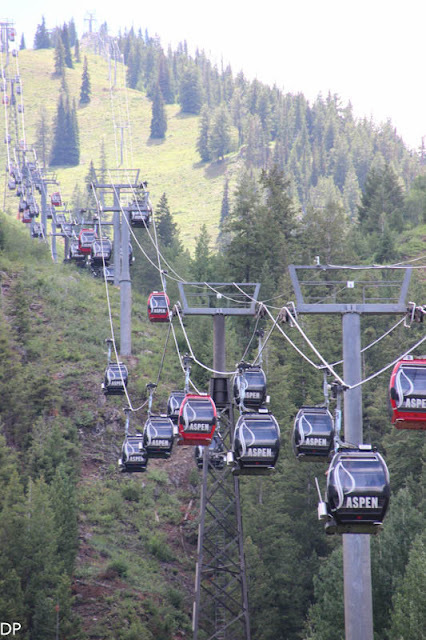 Aspen is famous for it's winter sports and summer mountain bike trails attracting many visitors every year. 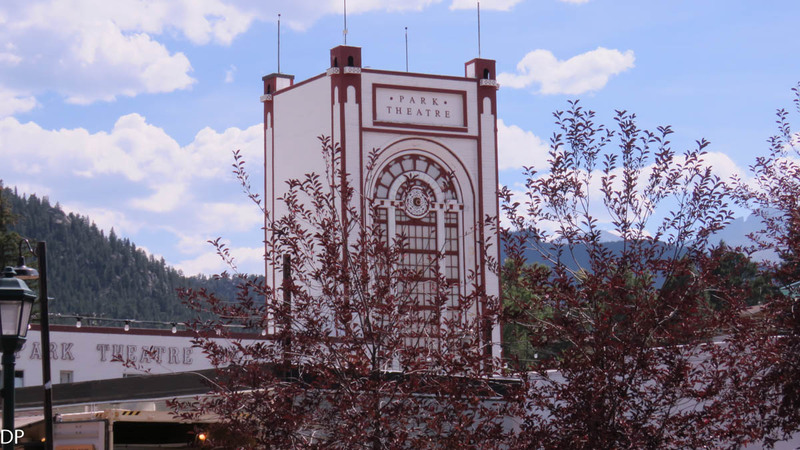 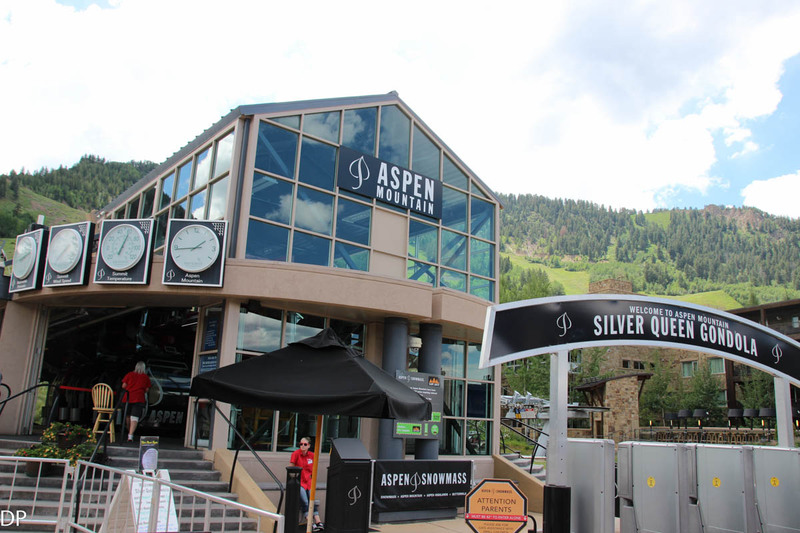 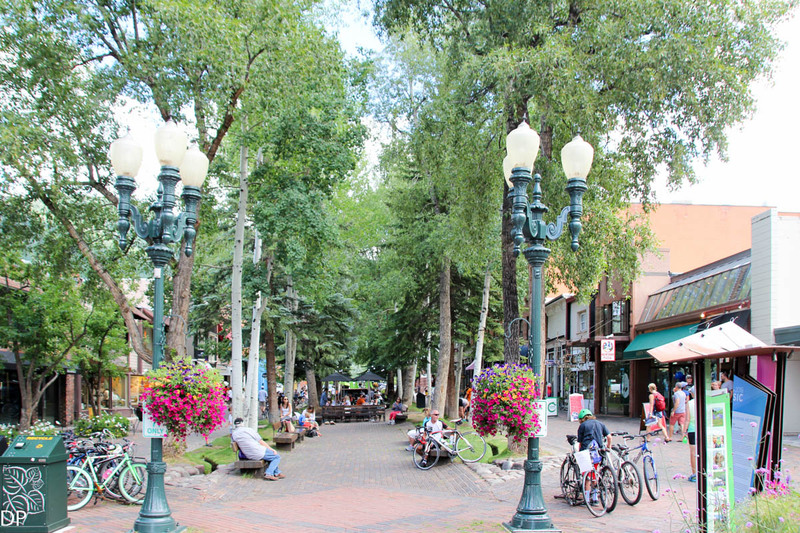 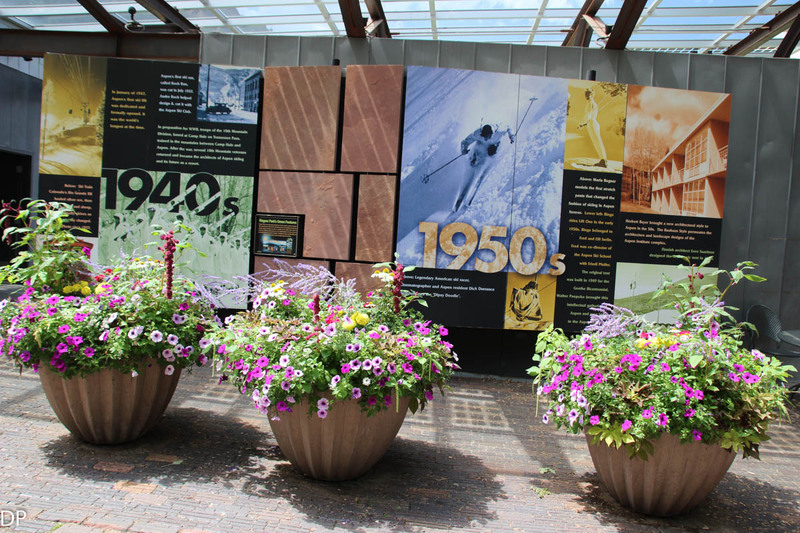 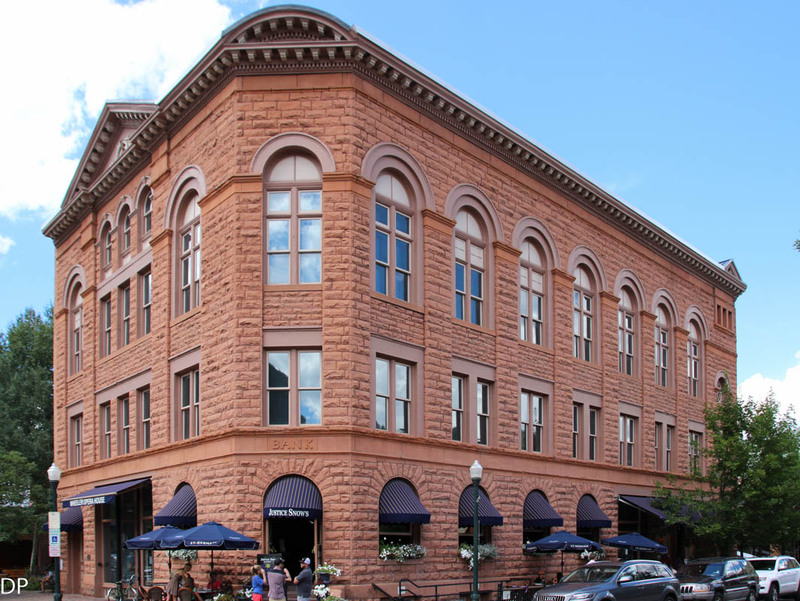 The following images depict Aspen's many interesting sites and historical structures that make this place so special. We finished our day by taking the bus out to Maroon Bells, one of the most visited places in the Rockies. 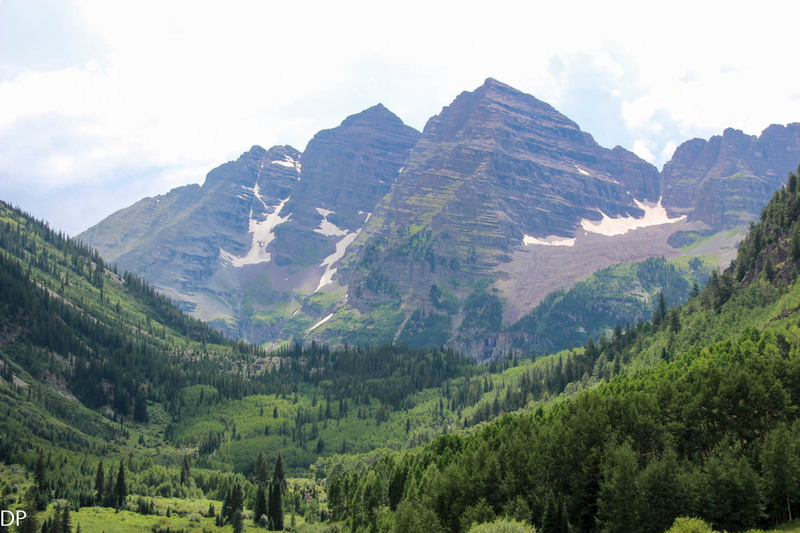 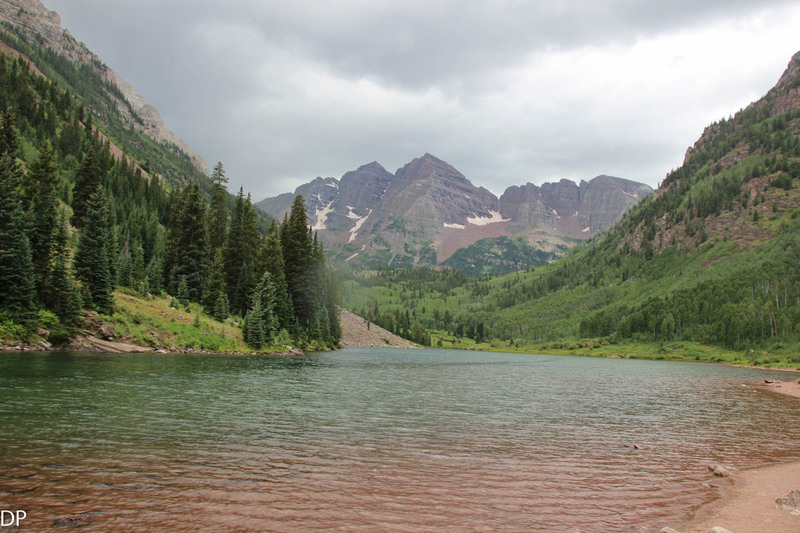 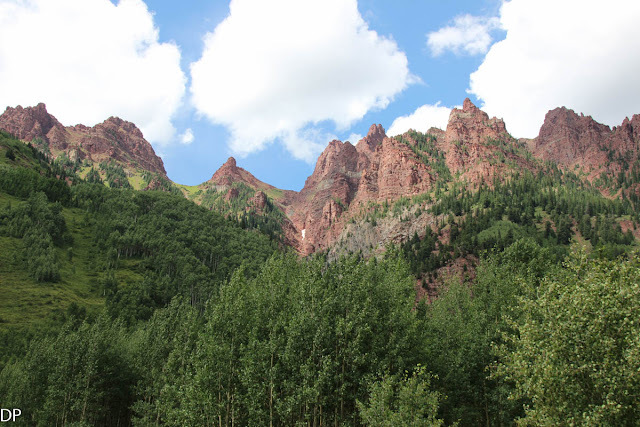 We marveled at the views of the lake with the peaks of the Maroon Bells towering over the valley. 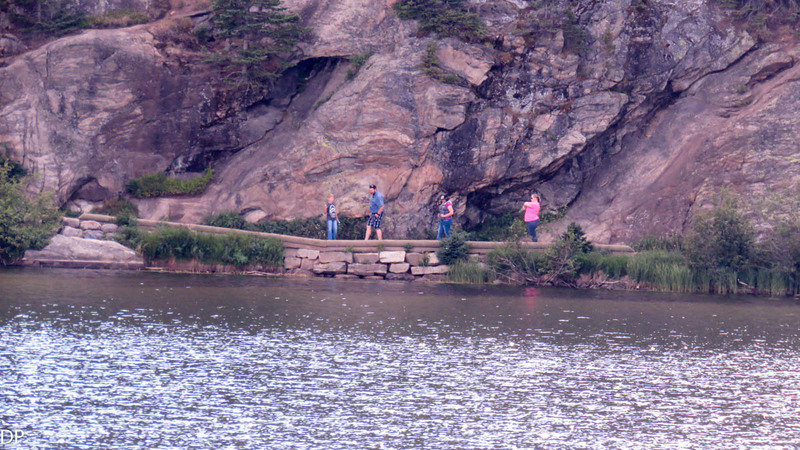 It was a perfect end to a delightful day.